Perfect addition for your future athlete! 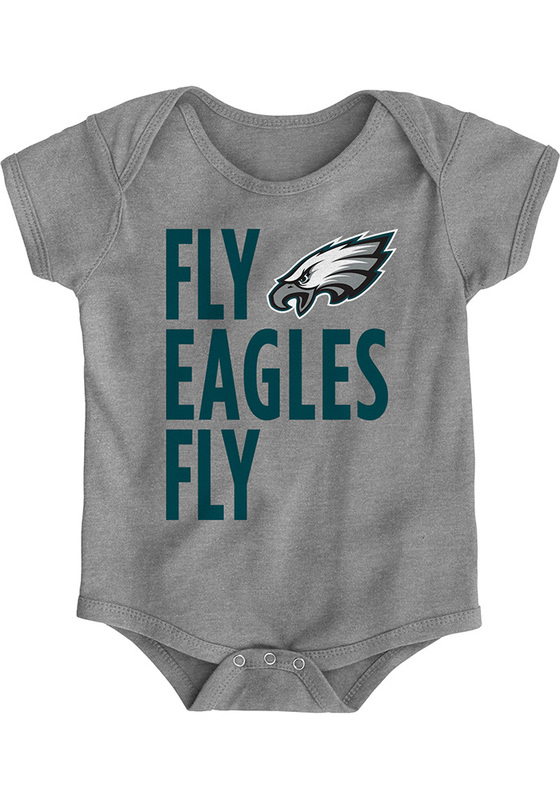 Your future Eagles fan will look cute in this Philadelphia Eagles Baby Grey Fly Eagles Fly Creeper! This Philadelphia Romper features a screen printed slogan Fly Eagles Fly with the Eagle mascot.